This puzzle piece, or "jiggy" is one of 10 hidden on the Mad Monster Mansion level of the Nintendo 64 game Banjo-Kazooie. 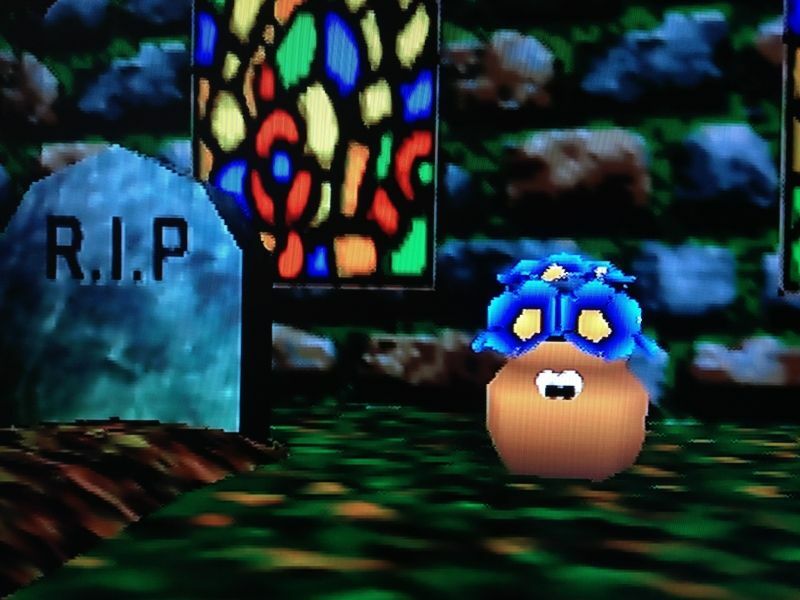 The jiggy can be acquired by depositing eggs in the empty flowerpots strewn about the graveyard at the back of the level. Once each flowerpot has been "egged," a bunch of flowers spring forth from the once-empty pot, and the player will hear the pot say "thaaaank yooooou." This is one of the stranger jiggies in the entire game.